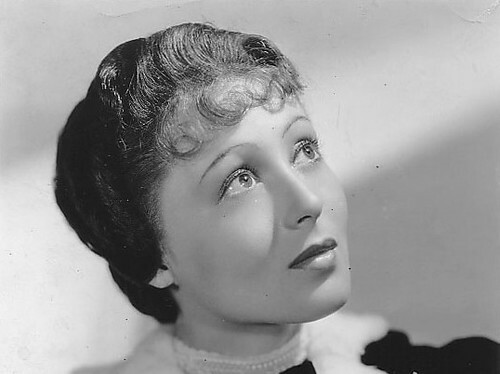 We remember the life and legacy of actress Luise Rainer who died at age 104 on Dec. 30. German-Austrian actress Luise Rainer was one of MGM's brightest stars in the 1930s. Rainer came to Hollywood in 1935 after a successful career on the German stage and screen. She became an immediate sensation, winning two back-to-back Academy Awards for Best Actress. Just a few years later, Rainer turned her back on Hollywood and for the next 70 years, she led a quiet, unassuming life far away from the spotlight. 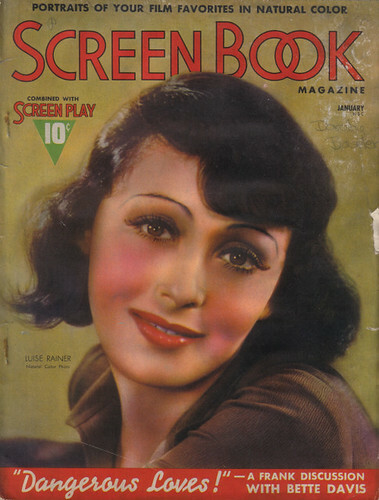 The lovely Luise Rainer appears on the January 1938 cover of screen book. Rainer was born on Jan. 12, 1910, in Dusseldorf Germany to businessman Heinrich Rainer and his wife Emilie Konigsberger. She grew up in Hamburg during World War I and its aftermath. "I was born into a world of destruction. My childhood was one of starvation, poverty and revolution," Rainer later recalled. Rainer's only escape from the hard times was her love of performing, which began at age 6 when she saw a high-wire act in a circus. 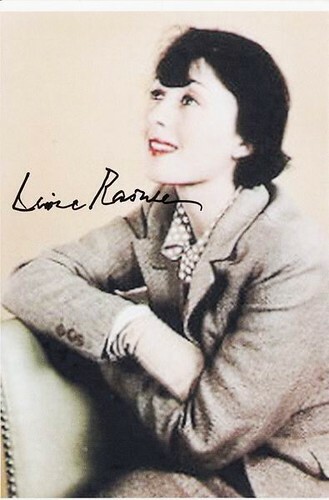 An autographed photograph of Luise Rainer. Rainer worked hard to develop her acting skills and she began auditioning for theatrical roles while she was still a teenager. Rainer began working with famed impresario Max Reinhardt at age 18 and she soon became a star of both stage and screen in her native land. In 1934, an MGM talent scout spotted her in a play. Soon, Rainer had a three-year contract and she was enroute to the U.S. abroad a luxury liner. Luise Rainer is featured in a poster for The Great Ziegfeld (1936). Rainer came under the wing of powerful producer Irving Thalberg when she arrived at MGM. Thalberg had Rainer work with an elocution coach to subdue her strong German accent and he found scripts for her that highlighted her onscreen qualities of tenderness and vulnerability. Rainer's first American film was Escapade (1935), co-starring William Powell. Rainer won rave reviews for her portrayal of the love interest of a philandering painter played by Powell. Luise Rainer in The Toy Wife (1938). 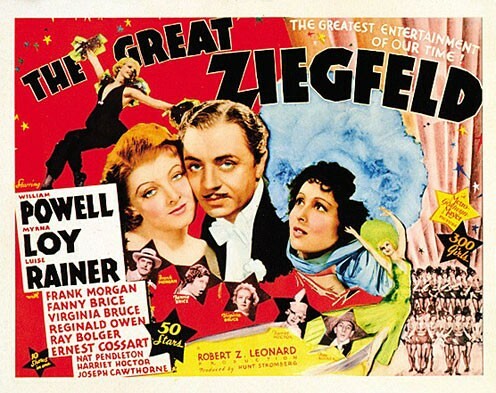 Rainer's next film was MGM's all-star spectacular The Great Ziegfeld (1936). Rainer played Polish actress and singer Anna Held, who was also the common-law wife of legendary Broadway showman Florenz Ziegfeld (William Powell). Rainer's part was small, but she made the most of it, capturing Held's charisma and stage presence, especially Held's most-noted feature, her large expressive eyes. A single scene where Rainer literally smiles through her tears while telephoning Ziegfeld to congratulate hin on his marriage to Billie Burke (Myrna Loy) earned Rainer the sobriquet, "The Viennese Teardrop." Her performance was such a sensation that she won a surprise Oscar for Best Actress. 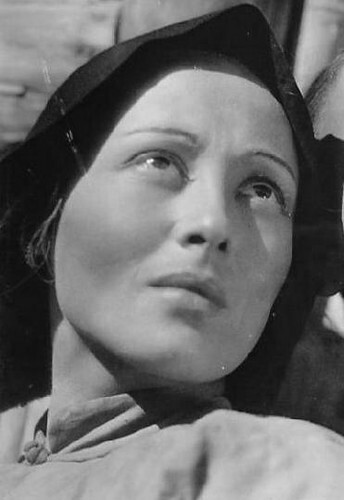 Luise Rainer as Chinese peasant O-Lan in The Good Earth (1937). Rainer's next role was the polar opposite of the glamorous Anna Held. Rainer played Chinese peasant O-Lan in MGM's adaptation of Pearl Buck's Pulitzer-Prize winning novel, The Good Earth (placing white actors in Asian roles was a commonplace practice in 1930s Hollywood). Rainer gives the best performance of her career as the stoic O-Lan, an almost mute wife and mother who endures famine, poverty and ill treatment by her husband and sons while living in a small village in the 1900s. Rainer's performance was so powerful that she earned a second straight Best Actress Oscar for her performance. Rainer is one of only four actors to receive consecutive Academy Awards (the others are Spencer Tracy in 1937 for Captains Courageous and in 1938 for Boys Town; Katharine Hepburn in 1967 for Guess Who's Coming to Dinner and in 1968 for The Lion in Winter; and Tom Hanks in 1993 for Philadelphia and 1994 for Forrest Gump). 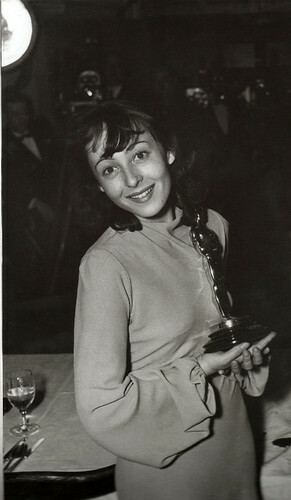 Luise Rainer with her Oscar for The Good Earth (1937). Rainer's career declined after The Good Earth, largely to due to the untimely death of Thalberg, who was her mentor and protector at MGM. Instead of challenging parts like O-Lan, MGM chief Louis B. Mayer wanted to cast "The Viennese Teardrop" in glamorous roles. Rainer's last great part was in The Great Waltz (1938), where Rainer yet again played the spurned wife of a fabled entertainer; this time around she was the unhappy spouse of Waltz king Johann Strauss II (Fernand Gravet). 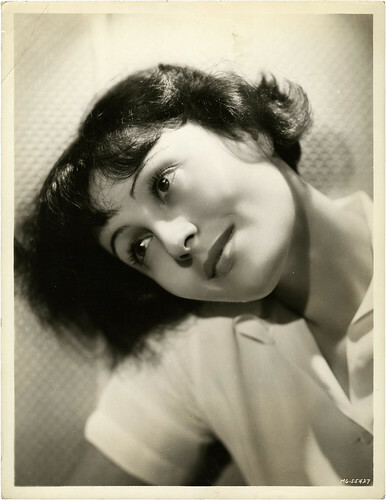 A lovely portrait of Luise Rainer. Rainer made four more films of diminishing quality before walking away from her MGM contract. Rainer had tired of the shallowness and phoniness of Hollywood, and she was also going through a difficult time in her marriage to playwright Clifford Odets (they would divorce in 1940). Decades later, she remembered her final confrontation with Mayer, who was well-known for using any tactics at his disposal, including physical abuse (he allegedly roughed up Mickey Rooney on more than one occasion) to get recalcitrant actors to behave. "I was called to him (Mayer)," she recalled in an interview with The Scotsman. He said, 'We made you and we're going to kill you.' And I said: 'Mr. Mayer, you did not make me, God made me.'" 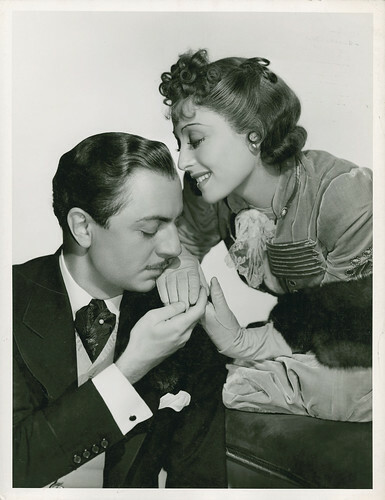 Luise Rainer and her frequent co-star William Powell in The Emperor's Candlesticks (1937). Rainer lived a mostly quiet life in the coming decades. She returned to Europe during World War II to study medicine and help refugees and orphans of the Spanish Civil War. in 1945, she married wealthy New York publisher Robert Knittel. They settled in London where they raised their daughter, Francesca. The whole family would travel to the Swiss Alps in the summer to pursue their love of mountain climbing. 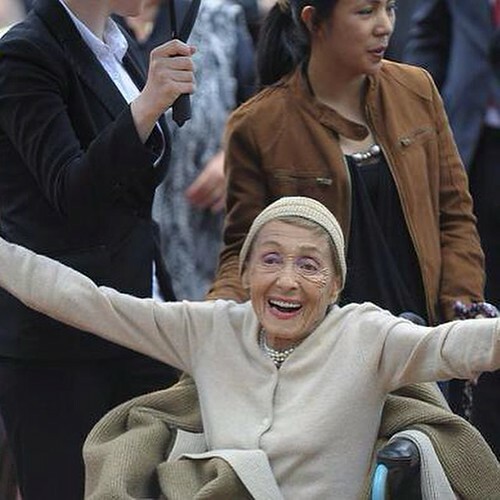 A joyful Luise Rainer in 2011 receiving a star on the Boulevard der Stars in Berlin. Rainer did occasionally dabble in acting. In 1943, she appeared in the wartime drama Hostages (1943) as a woman who is trying to free her father (Oskar Homolka) from the grip of the Gestapo. She guest-starred on the TV series Combat! in 1965 and she also appeared on The Love Boat in 1983. Her last film was The Gambler (1997), where she played the small role of the grandmother in the adaptation of Fyodor Dostoyevsky's novel. Rainer died of pneumonia on Dec. 30 at age 104. Sources for this article are Rainer's New York Times obituary, an interview with Rainer in The Scotsman and Academy Awards Illustrated: A Complete Guide to Hollywood's Academy Awards (1977 edition) by Robert Osborne.